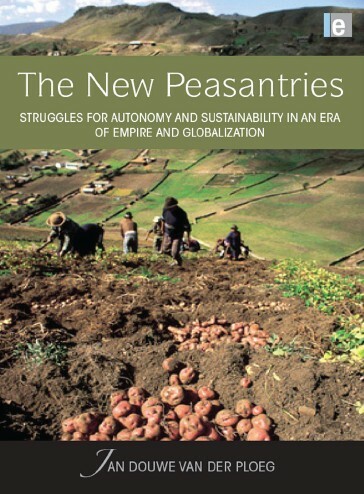 This book explores the position, role and significance of the peasantry in an era of globalization, particularly of the agribusiness and food industries. It argues that the peasant condition is characterized by a struggle for autonomy that finds expression in the creation and development of a self-governed resource base and the associated forms of sustainable development. In this respect the peasant mode of farming fundamentally differs from entrepreneurial and corporate ways of farming. The originality of the book resides in it placing peasants (who number more than 1 billion worldwide) centre-stage once again. The author demonstrates that the peasantries of this world are far from waning. Instead, both industrialized and developing countries are witnessing complex and richly chequered processes of ‘repeasantization’. These arguments are based on three longitudinal studies (in Peru, Italy and The Netherlands) that span 30 years and which provide original and thought-provoking insights into rural and agrarian development processes. The book combines and integrates different bodies of literature: the rich traditions of peasant studies, development sociology, rural sociology, neo-institutional economics and the recently emerging debates on Empire. Jan Douwe van der Ploeg is Professor in Transition Studies at Wageningen University, The Netherlands, and adviser to the Italian Minister of Agriculture. He has (co-)authored a wide range of books on rural development, land reform processes, peasants, styles of farming, agrarian and food markets, and the impact of technological change.